Request a Free Quote Today! Whether you’re constructing a new building or enhancing your current office, your parking lot is one of the most important elements to focus on. Not only does a clean and secure parking lot tell customers that you fully invest in your business, but it also keeps your employees and suppliers safe when they arrive and park on your premises. Renco Construction, Inc. offers the asphalt paving you need to enhance your reputation and eliminate safety issues. 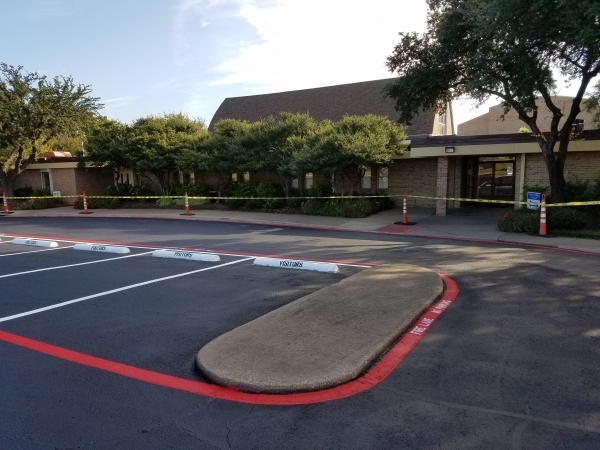 Operating throughout the Dallas and Fort Worth area, we provide paving for new construction, as well as repairs and sealcoating to keep your lots clean, safe and beautiful for the long haul. Asphalt Paving - The key to quality paving is to do the job right the first time. For this reason, the Renco team spares no effort or expense in the initial pavement process. We pay careful attention to the area around your building, as well as weather patterns, traffic trends and other factors that could affect the asphalt. By adjusting for these factors and using the best materials available, we provide pavement that will stay strong for years to come. Asphalt Repairs - No matter how good the original paving job is, sooner or later, asphalt begins to crack. We can repair any such cracks, as well as potholes and other large flaws with ease. We strive to resolve these issues as soon as you report them, keeping safety threats to a minimum. 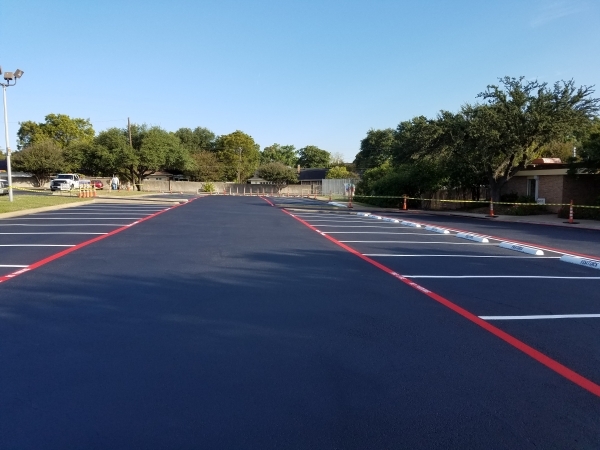 Sealcoating - Whether as part of the initial paving, during the repair process or simply to shore up asphalt that is still intact, we offer sealcoating for your parking lot. This keeps water and debris out, extending the life of the surface. Renco Construction, Inc. has 39 years of experience paving, repairing and sealcoating asphalt surfaces throughout the DFW Metroplex. No matter how unusual the shape of your parking lot or how much weight it will need to bear, we have the resources and experience to do the job right! The Renco team has always put safety first, providing surfaces with the integrity and traction to prevent accidents under all circumstances. These efforts have proven highly successful, keeping businesses and their employees safe throughout the DFW area. Don’t just take our word for it - the National Council of Compensation Insurance has awarded us the highest safety rating possible! Combined with the testimonials of our many previous customers, we make it clear that we know how to keep you out of harm's way. contact Renco Construction, Inc. today. Request Your Free Quote Today! Whether you need specialty concrete work, major asphalt resurfacing or just repairs, it’s Renco Construction, they do it all. Renco does a great job, it is always high-quality work, done on time, on budget and trouble-free because Renco handles it all. I have had Renco do work for me for many years. Give Renco Construction a call, you will be glad you did! * starstarstarstarstar Rating | George K.
The contents of this webpage are Copyright © 2019 Renco Construction Inc. All Rights Reserved.